Why should you choose Lutheran Home and Harwood Place? 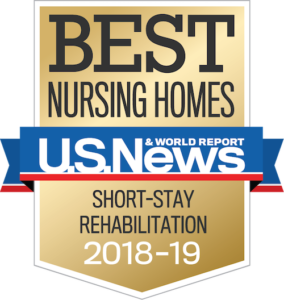 Why should I choose Lutheran Home and Harwood Place? Here at Lutheran Home and Harwood Place, you will notice warmth and friendliness as soon as you walk through the door. We pride ourselves on helping our residents live a life they love by providing an array of housing and care options, activities, and much more. We offer you all the comforts of home so you can dedicate your time to the things you love. If you are feeling good and want to maintain your independence, Harwood Place has a variety of different sized apartment homes available through our Retirement Living services. We can also provide Custom Services to you in your apartment if you need extra help. Finally, for those resident who need a bit more support, we offer Assisted Living services in our dedicated care area. Through Lutheran Home, we provide short-term rehab, skilled nursing, memory care, and adult day services. In addition, we offer structured daily activities, spiritual services, and intergenerational programming with children from Lutheran Homes’ Children’s Center. Located in the heart of the Wauwatosa, residents of Lutheran Home and Harwood Place are close to shops, restaurants, the Tosa Farmers Market, Wauwatosa library, Froedtert Hospital, and so much more. To schedule a visit, fill out our easy form. What is life like at and Harwood Place? When you first visit Harwood Place or Lutheran Home, you will immediately notice the beauty of our grounds: Landscaping, outdoor gazebo, lush courtyards, walking paths, and even individual garden plots available for gardeners. Step into our welcoming lobby and enjoy the warmth of a fireplace. Our reception area is secured and guest rooms are available by reservation. We are proud to offer a private environment with plenty of opportunities for socialization, or to enjoy your alone time. We are staffed 24 hours per day, seven days per week, and our staff are dedicated to our residents’ wellness, comfort, and safety. Residents can enjoy the many amenities available daily, including a robust events calendar, wellness center and clinic, fitness room, game room, library, restaurant-style dining, beauty/barber shop, and even on-site banking services. As a safe and convenient alternative to driving, door-to-door transportation is available to take you to and from medical appointments, restaurants, entertainment venues, and more. We also provide complimentary, twice-weekly trips to local grocery stores and pharmacies. Don’t just take our word for it, enjoy our photo gallery and witness the fun for yourself! Or watch the video below. How will Lutheran Home and Harwood Place accommodate my changing health needs? We realize that your health and wellness needs are as unique as you are, and here at Lutheran Home and Harwood Place, we offer a broad range of services to meet your needs. 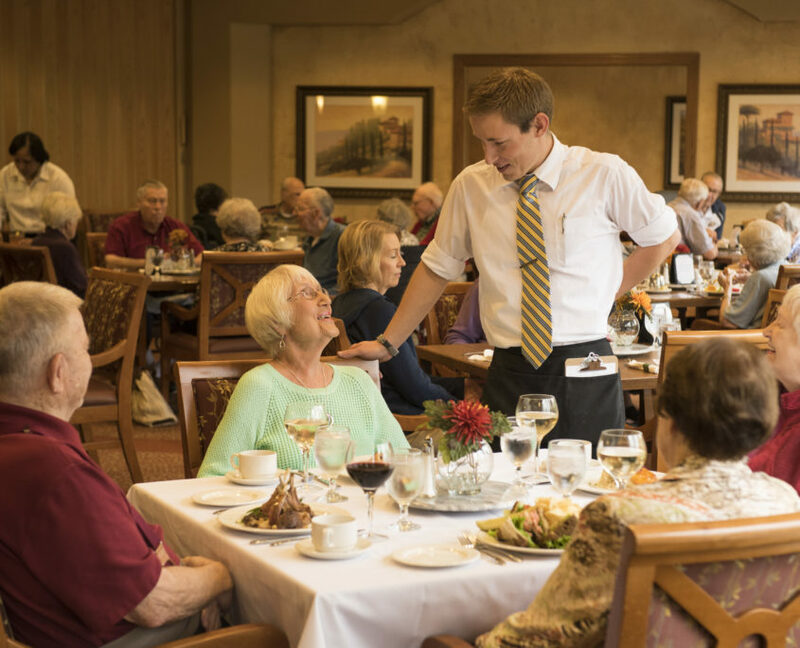 Residents of our Independent Living community can take advantage of regular wellness programming, spiritual services, and a robust activities calendar. As health needs change, customized care is available to ensure you can stay in your home as long as possible. From there, we offer custom healthcare services in addition to your individualized plan of care, including 24-hour access to certified nursing assistants and on-call licensed nurses, emergency response, medical coordination with your doctors, medication management, nutrition coaching, and assistance with personal care and household tasks.